Workplace bullying has become a particularly hot topic in the workplace, as it can be detrimental to workers’ health and, as a result, decrease productivity levels. 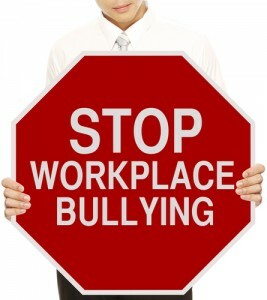 More than 35 percent of workers in the U.S. have reported being victimized by workplace bullying. Workplace bullying can be a significant cause of stress to employees that can dramatically decrease productivity in the event that bullying causes workers to lose confidence, suffer from crippling anxiety and panic attacks or even develop serious cases of depression or some type of physical injury. Somehow believe that they deserve to be treated in such an inappropriate and unprofessional manner. Because creating a safe environment for workers is part of a responsible employer’s obligation to its workers, addressing and stopping workplace bullying is crucial to this end. In some cases, dealing with a workplace bully may mean that an employee has to report the incident to human resources, which is set up to deal with such problems. In the event that workplace bullying persists, some researchers have even suggested that employees may be well advised to send the bully a cease and desist letter (to create a legal obligation to stop such behaviors). 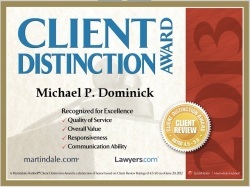 If you have been the victim of workplace bullying, and you believe the bullying contributed to a physical illness you have sustained, it’s essential that you contact the Colorado workers compensation lawyers at the Law Office of Michael P. Dominick. Our legal professionals have a proven track record of success when it comes to securing our Clients the maximum possible compensation for their injuries, suffering and financial losses. For a thorough evaluation of your case, along with expert advice on the best manner in which to move forward, call us at (303) 447-2644.